Skeena Heliskiing was founded in 2004 and is one of the largest heli skiing areas in the world with an area of 9,525 km2. The Skeena Mountain range has a huge diversity of terrain, from the high vertical slopes with steeps to powder bowls with pillows and shoots as well as plenty of tree skiing and an abundance of sweeping glades providing more heli skiing opportunities during bad weather periods. Through Skeena’s geographical location and diversity of terrain we consistently enjoy one of the lowest number of down days in the industry. Our nearest airport (Smithers) is located only 3 hours from Vancouver and 4 hours from Calgary. Flights are available daily from Vancouver International Airport directly to Smithers. Calgary flights are daly via Prince George. Our van shuttle will take you on the 1½ hr drive from Smithers to the Bear Claw Lodge. We offer two types of accommodation / packages: The Bear Claw Lodge and new for 2015… the Base Camp. The Bear Claw Lodge offers our clients very exclusive, personal and high quality accommodation, and is only 6 minutes by helicopter to your first runs. We cater to a maximum of 15 guests per week, that either being in a configuration of 3 groups of 5 or 2 groups of 5 and a private group. The Base Camp is a fly-in fly-out "Glamorous Camping" option for those seeking a real adventurous wilderness experience. The Base Camp caters to a maximum of 12 guests per week. We have chosen to use B2 helicopters as they allow us to access the best of our terrain and better cater to our smaller groups. We only employ UIAGM or ACMG/CSGA certified and highly experienced guides as they are there to ensure your safety whilst leading your group as well as helicopter pilots with long time heliskiing and mountain flying experience to keep you safe while flying you from run to run. We believe the skiing experience and how much fun you are having is not only made up of how good the snow is but also determined by the people that you are surrounded by. We are super thankful to be able to spend the winter months here in the BC wilderness with the best group of people. We love our staff, they are all part of our big family and we hope that they also add to your heliskiing experience with us. Jake was born and raised just 3 hrs south of the Skeena Mountain range to Swiss parents. 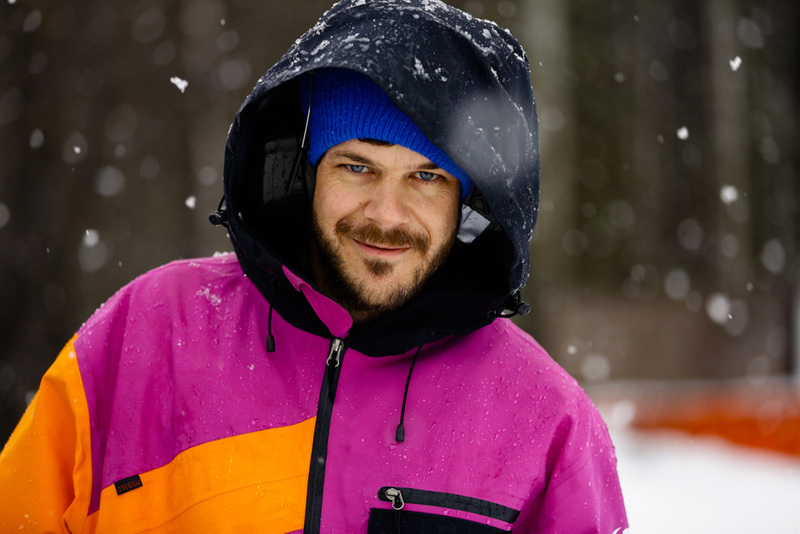 Jake left Canada at a young age and started his career as a professional skier and guide in Europe. 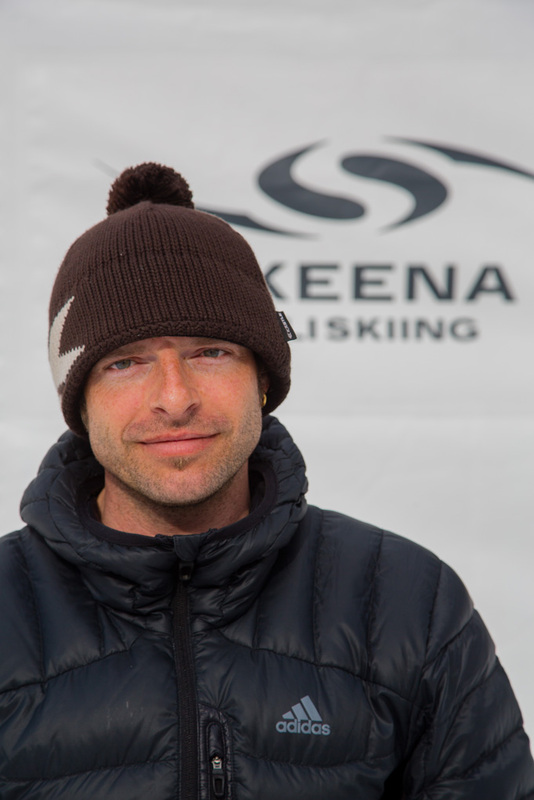 In 2003 he started exploring the new skiing terrain of the Skeenas and subsequently launch Skeena Heliskiing. 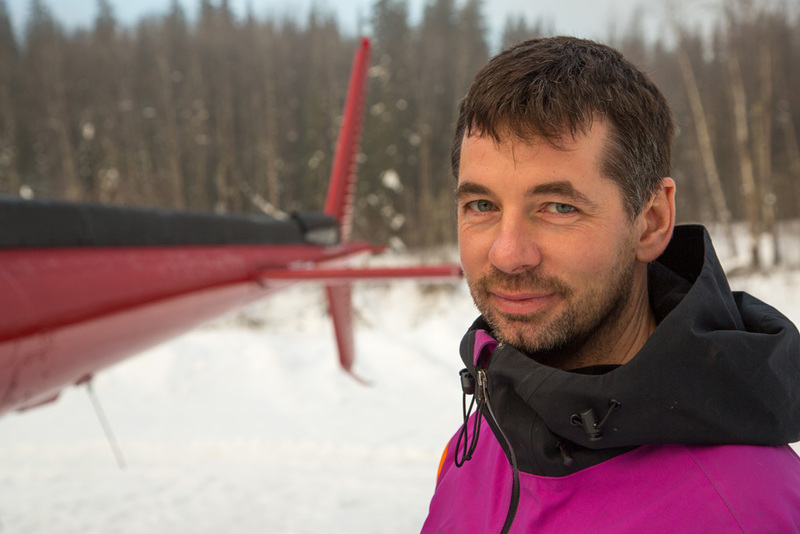 Working in the heliskiing industry for over 20 years, Jake has also been involved with the Swiss Institute of Avalanche Research, various avalanche control activities, ski resort safety planning and numerous year round guiding activities around the globe. 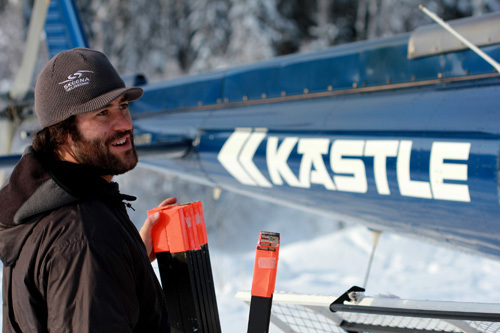 Jake’s experience in the industry and commitment to developing a world renowned Heliski operation has helped him develop the best possible team to ensure our clients safety and enjoyment in the air and on the snow. Martin grew up in the Swiss ski resort of Meiringen-Hasliberg. He is an enthusiastic skier, snowboarder and mountain biker and has skied in many places around the world. His passion for the outdoors, sports and travel sets his standard high for ski vacations, which is what we do at Skeena Heliskiing. Martin worked for over a decade for Scott Sports in marketing, events and product management. His past experience has created the ideal teammate for Skeena. He is knowledgable with our equipment, companies, and the evolving world of sports. Since 2011 he has lived in the Kispiox Valley just 40 minutes from the Bear Claw Lodge. He now calls this area his home. Martin oversees many logistics of the operation right from the point when our guests book to when they arrive and enjoy their heli skiing holiday. Martin is fluent in German, English and French. He has several certificates that compliment his position at Skeena. Born and raised in an Austrian ski village, Robert has been on skis since the age of three. 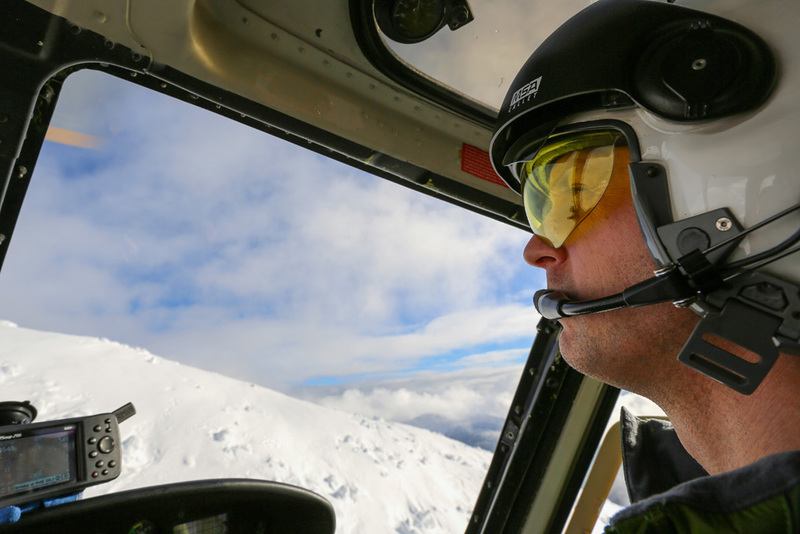 After finishing his ski instructor and guiding certificates, the search for endless powder made him move to Canada in 1994 - where he has guided heliskiers ever since. Skiing and guiding at numerous operations in BC and Alaska gave Robert a good understanding of how to put together a great heliskiing program. The promise of exploring new terrain combined with the relaxed atmosphere at Skeena Heliskiing brought Robert to our team here, where his years of experience will flow into the program offered at Skeena Heliskiing. Robert and a group of Canadian downhill racers still hold the world record for the most vertical feet skied in one day. Born on the west coast of BC and he inherited a great love of the mountains and wild places from his parents. He has been guiding and a member of the ACMG for over 30 years and continues to enjoy sharing the magic of the mountains with anyone who wishes to experience it. Guiding since the early days of heli skiing and being involved of every aspect of the business, Daryl knows what it takes to make a great ski experience. 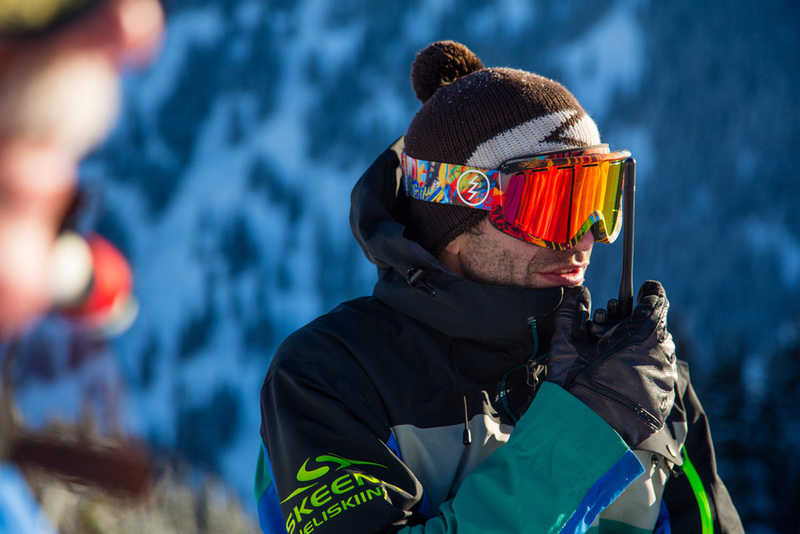 A chance telephone conversation, a similar vision of what heli skiing can be brought Daryl to Skeena Heli Skiing. Intimate groups, commitment to safety and service and the exceptional family atmosphere of Bear Claw Lodge were the right combination to lure him North. Daryl also guides ski touring in Whistler, is active in the local mountain rescue community and lives a portion of the year on the ocean off the East coast of Vancouver Island in a new house he and his wife are just completing. He enjoys sea kayaking, fishing, expedition white water rafting and of course mountain biking. Born in Austria, Michael moved to Canada seven years ago. Before starting his Canadian heliski career he was a member of the Chamonix Mountain Guide Association and developer of a Russian heliski company. A certified UIAGM guide and level 4 ski instructor for over 15 years, examiner for the Austrian ski instructor federation and a former teacher for skiing and mountaineering at the University of Graz, Michael spent most of his life in the mountains around the world. 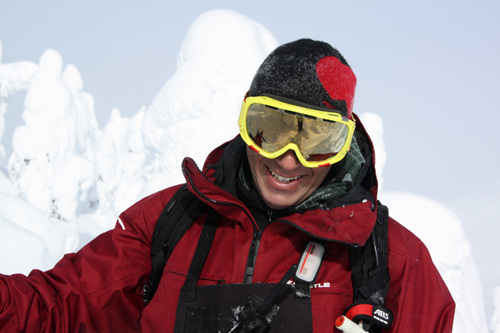 Besides his involvement at Skeena Heliskiing he is working in the avalanche safety equipment sector and is the director of Pieps Canada. “It is a hard and long way to be ready for guiding in the heliski industry, but every day out there, seeing smiles in your faces, and enjoying the untracked powder in the Skeena mountain range makes it worth it. 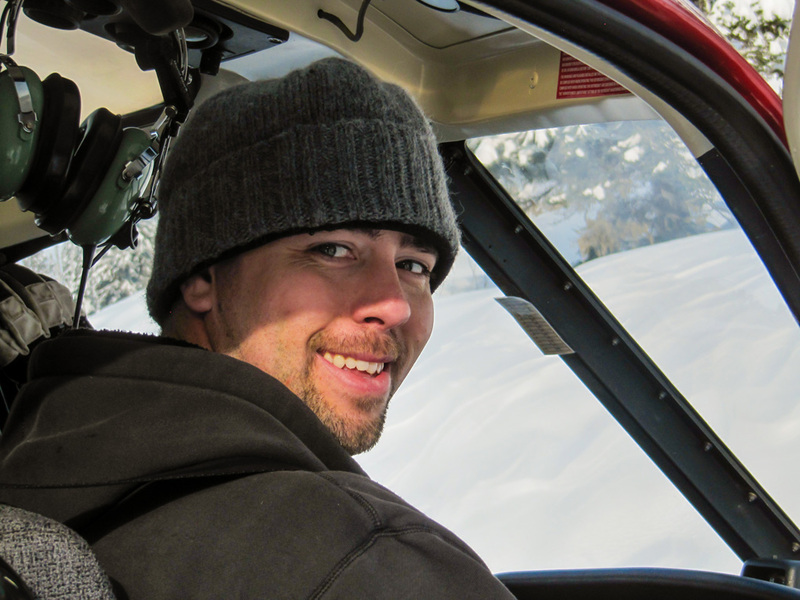 Lucas lives in Smithers, BC has been with Skeena Helisking since 2006 as an avalanche technician. During the day he can be found in the depths of a snow hole digging a snow profile and examining the stability of the snow pack or skiing at the back of the group making sure everyone gets back to the Heli. If your looking for Lucas at the lodge you can usually find him in the kitchen drinking his 20th cup of coffee for the day. 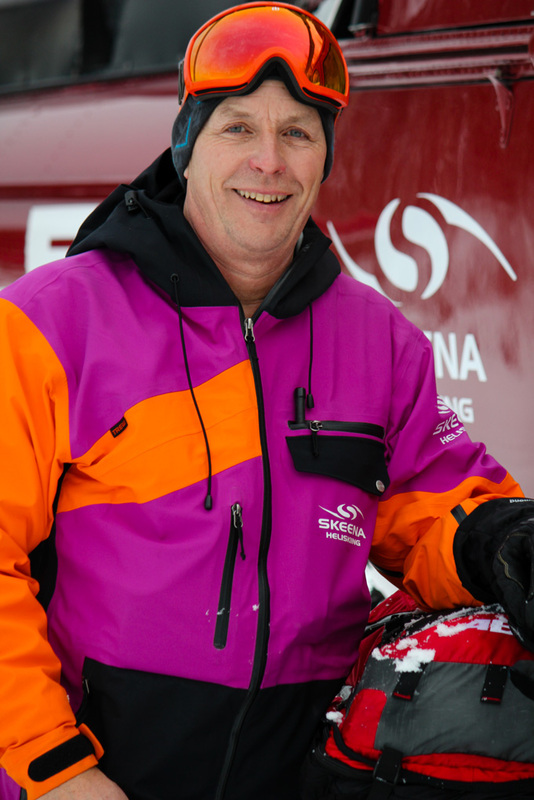 Craig has been with Skeena Heliskiing since its inception and has over 10,000 hrs of flying time. His local knowledge and experience with our Heliskiing operation ensures that our clients access the best possible terrain for the conditions. A local man from Terrace BC Craig has a love for all engines from the smallest to the biggest ones. His favorite mode of speedy transportation during the winter months is his beloved "Enticer" snowmobile (Circa 1971). Jacob grew up In Bella Coola and Smithers BC were he lived and worked in various remote fishing and logging camps. Always lured by the outdoors and aviation Jacob got his airplane pilots licence right after high school although helicopters were his real interest. Jacob got into heli logging as a faller to save money to be a helicopter pilot and after years of logging he finally was able to learn to fly helicopters. Jacob returned to Bella Coola to fly for his long time friend who had a charter company there. Several years later he moved back to Smithers with his family and took a job flying for quantum helicopters out of terrace. Jacob has spent his whole carrier flying in and over BCs mountains and loves every minute off it. Now flying heli skiers has added a new dynamic. " It has been a very gratifying job. Seeing the excitement on the peoples faces as they get to experience some of the beauty I see every day has added a new thrill for me." Lars is originally from Port McNeilon the Vancouver Island. For the last 10 years he has been living in Terrace. Lars came to Skeena a few years ago through being a friend of Craig. After the first flight with him we knew that he is a perfect fit for our team. Lars has over 15 years of flying experience and many of those hrs flying in the local mountains for avalache bombing in the area of Stewart. Having grown up in northern BC with his brother Jake, Schimun developed his love of the outdoors at an early age. 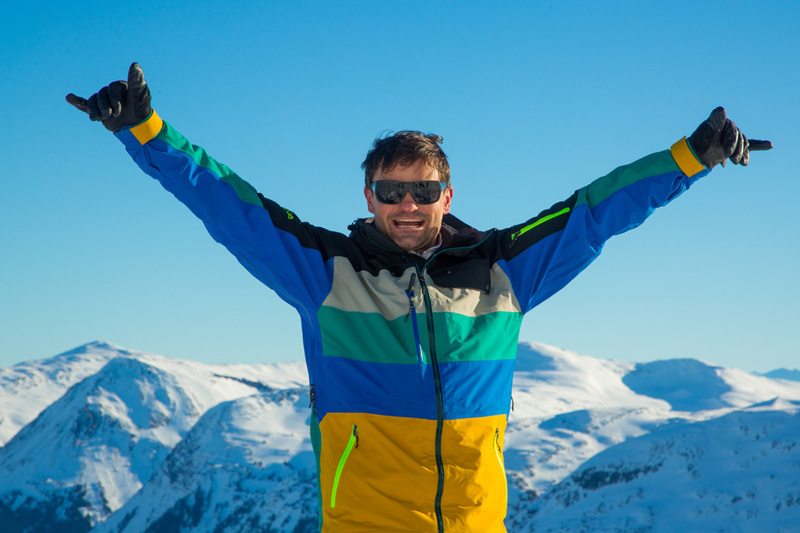 After finishing University he moved to Switzerland to chase his passions of skiing and climbing. Having spent several years enjoying the Alps, Schimun has returned to his roots to set up and launch Base Camp with his brother. As Skeena Heliskiing Base Camp General Manager he is the all-rounder/ handyman, who is responsible for making sure everything runs smoothly. Taking into account that the Base Camp is in such a remote wilderness fly-in only location this is not always an easy task. When he is not busy working for Skeena Heliskiing, he spends his time in the outdoors climbing, skiing, biking or just enjoying nature. He has a bit of a habit of throwing axes as the day goes on. Natasha was born and raised in the Bulkley Valley. Growing up so close to the mountains, Natasha quickly became passionate about skiing at a young age. After school she moved to Whistler and spent four winters pursuing her passion for skiing. Natasha also works for two flyfishing lodges and is a avid steelheader. Hopping from the mountains to the river, from one lodge to the next and traveling the globe in between. During the lodges off-season, Natasha is hard to pin down on a map; Shes has an adventures spirit and is alway on the travel chasing powder, steelhead, climbing, biking, taking photos and exploring nature. Local identity, renowned bronco rider, local fishing guide, Gene and his wife Joy have been involved with Skeena Heliskiing since its inception. Gene is a true host, making sure your stay is full of laughter, great stories and memories. Additionally Gene is a Director on the Quality Waters Strategy Board, Skeena Fisheries Angling Committee and the Skeena Watershed Coalition. He’s involved with the Land Resource & Management Plan for the Forest District and the Swan Lake Wilderness Area. Gene has initiated many clinics for rodeo athletes and has taught and recommended rodeo athletes to colleges and universities. Gene is a past president of the British Columbia Rodeo Association and won the Lifetime Achievement Award in Rodeo. In October of 2011, he was awarded the "Rodeo Person of the Year" in B.C. Gene is a fishing guide, coordinates the mountain pack trips and is involved in every aspect of the Bear Claw Lodge. Joy has always had an active life with horses, competing in both rodeo and horse shows. She conducted barrel racing clinics for many years and was the Director of Women‘s and Children’s events for B.C. rodeos. 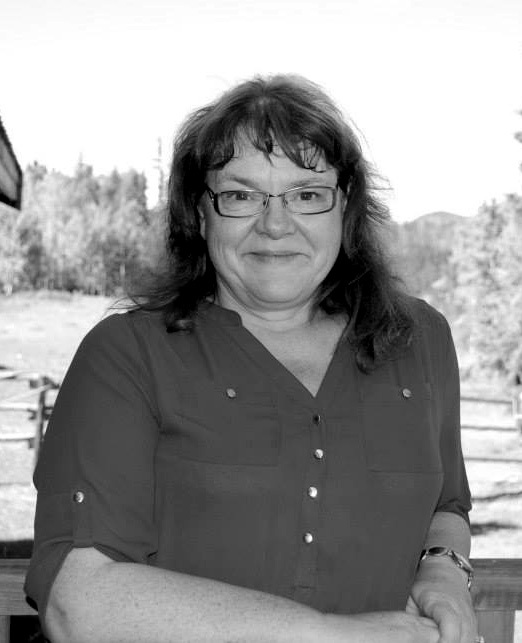 Joy has served as President of the Kispiox Valley Rodeo Club for nearly 30 years and is the Vice President of the local Community Association. Joy won the "Today’s Woman Award" for Community Enrichment for the Yukon and B.C. Interior, and was the first recipient of the Hank Vogel: Rodeo Person of the Year Award in B.C. She initiated the Conservation Camps for kids at Bearclaw and continues to be actively involved in all facets of the lodge programs. Please note we have 2 locations where we ski. The main location and staging area is Bear Claw Lodge. The second one that we run for parts of the winter is the Base Camp. That is situated more directly in the heart of the skiing tenure and can only be accessed by Helicopter. It is a 8 min flight from Bear Claw Lodge to Base Camp. Here is a small showing the different ski zones and the 2 locations. Skeena Heliskiing operates from the exclusive Bear Claw Lodge, owned by Gene and Joy Allen. We thought we’d give you a little more information on Gene & Joy. 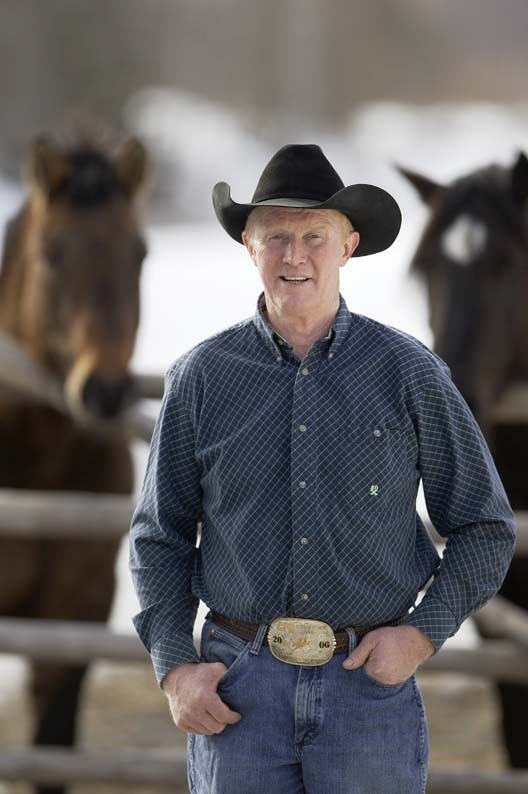 Gene is a local identity and renowned bronco rider & local fishing guide. Back in his day Gene would fly his plane from Hazelton to where ever he was competing in the rodeo circuit. For many years Gene has been recognized as one the best local steelhead guides. Over the summer months Gene guides many international guests to some of the best fishing in the Skeena watershed. Joy and Gene raised bucking horses for 35 years and at times had around 240 head. Joy competed in rodeos for many years, barrel racing and roping and has won hundreds of buckles and awards. She coaches the Kispiox Valley Mounted Team, one of the largest in Canada and is active in the community. Jim Allen runs his Kispiox Fishing Company from the lodge, with clients coming to fish from around the globe. Jim is one of the top steelhead guides in the world. Kaleigh Allen is the General Manager of the lodge, and the chef. She is also an accomplished horsewoman and river rafting guide. The entire family are environmentally friendly and are very involved in conservation of the Skeena Watershed. The Heliskiing Package is a 7 day heliskiing package of up to 3 groups of five people. Each group of 5 people is leaded by 1 guide. One B2/B3 helicopter is utilized to fly the 3 groups of 5 skiers/snowboarders. Skeena Heliskiing provides you access to 9,250 square kilometers, the second largest skiable tenure in North America. Accommodation is double occupancy with en-suite. Single room occupancy is available and will be charged at an additional $1’580.00 per week and is subject to availability. All meals, snacks and non-alcoholic beverages. inc. whirlpool / hot tub, sauna, laundry facilities, games room, cross-country skis and snow shoes. Use of powder skis and poles, snowboards, safety ABS backpack including avalanche transceivers, shovel and probe. Provision of ACMG (Association of Canadian Mountain Guides), and/or UIAGM / IFMGA (International Federation of Mountain Guides Association) certified guides. Helicopter and avalanche Safety Training & Practice. Please note that transportation for none scheduled arrival & departure times are not included in the package price. And will be charged at $460 per trip. • Your costs of travel to & from Smithers B.C. • Transfers outside of schedule pick-ups and drop-offs on Friday mornings. Extra shuttles will be charged at $460.00 per round trip. • Travel & Cancellation insurance (please arrange when you book your trip and ensure they cover heliskiing and ensure you understand the cancellation clause in the policy). Payment of a nonrefundable deposit of CAD$2,000 together with the completed registration form is required to secure your booking. This deposit is taken off the total cost of your 19 Mile Heliskiing Package. Every client is required to sign a Release of Liability form before any heliskiing can commence. Please familiarize yourself with the sample waiver. If you require a waiver in any language apart from English, please let us know. Final payment is due 90 days prior to your Heliskiing Package commencement date. If final payment is not received on time we reserve the right to cancel the reservation without notice and the deposit is forfeited. If registering later than 90 days prior to the package beginning date, the full Heliskiing Package price is due upon registration. All prices are quoted in Canadian dollars and are subject to change without notice. All our package prices include GST taxes of Canada. Your package includes 30,500 vertical meters of skiing, of which 30,500 meters are guaranteed. We calculate vertical meters on actual skiing/boarding, not flight time. The vertical included in your package is not transferable to someone else. Costs for additional skiing/boarding are charged only to guests who decide to ski over the targeted vertical meters in their package. Additional vertical meters are charged at a rate of CAD $149.00 per 1,000 vertical meters per person. In case you decide not to ski due to fatigue or for any other reason, the vertical your group skis will be added to your quota of included vertical. Vertical meters are calculated by the actual meters skied/ boarded. If the length of a run is reduced to provide better skiing conditions, Skeena Heliskiing will charge a minimum of 450 vertical meters even in the event that the that run is shorter. If the guarantee vertical meters are not reached due to weather or mechanical problems you will be refunded CAD $149.00 per thousand meters unused vertical. There are no refunds if you choose not to participate in any activity or return to the lodge early. 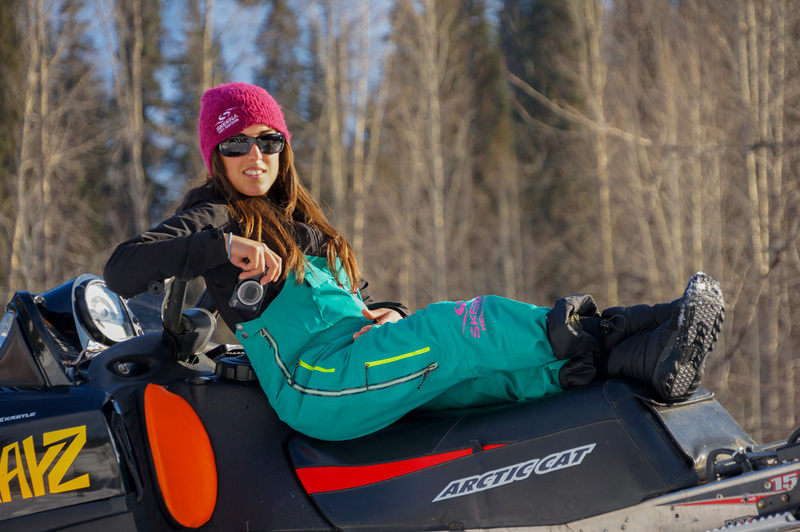 Similar to an airline, in the event that you decide not to ski/snowboard for any portion of the day or week, Skeena Heliskiing reserves the right to fill your seat with someone else like staff. Please note group skill level does greatly effect how much vertical can be skied in a day/week. The 19 Mile Heliskiing Package begins and ends on the specified dates and has been offered as a complete package. There are no refunds, total or partial for any unused services due to late arrival, early departure, sickness or accident. Any cancellations must be made in writing and received via registered mail or fax 90 days prior to the arrival date of the Heliskiing Package to Skeena Heliskiing Inc. or to your booking agent. In the event of cancellation by you, Skeena Heliskiing will retain the CAD$2,000 nonrefundable deposit. If cancellation is received within 90 days of the commencement date of your Heliskiing Package then the total package price is forfeited. We strongly recommend taking out travel insurance. If the guest can find a replacement for the trip booked, all the deposit or the full payment received will be transferred to the new guest. Package in its total discretion. In this event your deposits and any payments will be refunded in full. Where possible alternative dates will be arranged. Für alle Könnerstufen geeignet. Heileinsteiger, Heilfortgeschrittene und Heliexperten. Lediglich für Extremskifahrer gibt es bessere Anbieter.